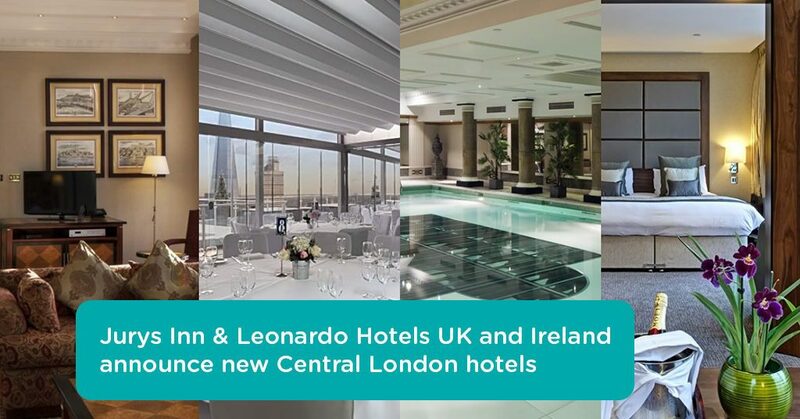 There are exciting times ahead as Jurys Inn and Leonardo Hotels UK and Ireland recently announced their latest acquisition. The Fattal Hotel Group has entered into agreement for the long-term lease of four Grange Hotels in the heart of London – Grange City Hotel, Grange Tower Bridge Hotel, Grange Holborn Hotel and Grange St Paul’s Hotel - totalling 1,300 bedrooms, marking our first entry into the central London market. The new hotels, which will all receive an ambitious investment programme with Tower Bridge, St Paul’s and City Hotels becoming Leonardo Royals, and Holborn, following significant investment, becoming the Group’s first NYX Hotel by Leonardo in the UK. This announcement follows a busy year for Jurys Inn & Leonardo UK & Ireland, as they recently acquired the Grand Harbour Hotel in Southampton, which has been rebranded to Leonardo Royal Hotel Southampton Harbour, and the iconic Midland Hotel Manchester, which represents one of the largest single hotel deals completed last year. They also acquired a prominent site on Adair Street Manchester, which will be, rebranded as a Leonardo Hotel and in addition, there are also plans to extend their existing Jurys Inn Edinburgh and develop a NYX Hotel by Leonardo on the adjacent site. Jurys Inn and Leonardo Hotels UK and Ireland currently hold a wide portfolio. It now comprises of 49 hotels and over 11,000 rooms, trading under prestigious brands consisting of: Leonardo Hotels, Leonardo Royal Hotels, Leonardo Boutique Hotels, NYX Hotels by Leonardo Hotels and Jurys Inn.